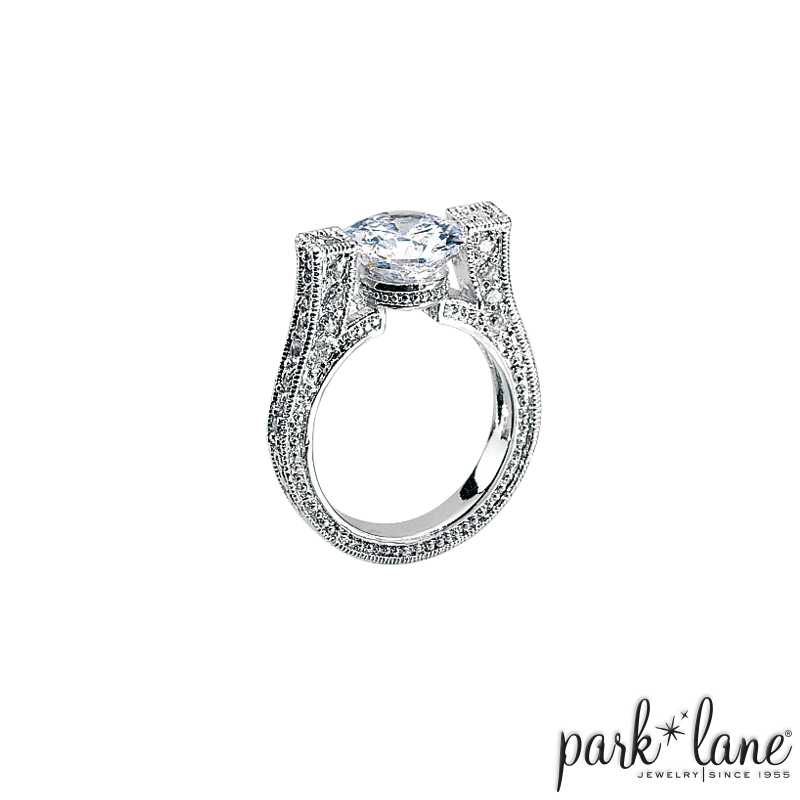 This show-stopping, designer-influenced ring is incredible. With the look and feel of platinum, the entire shank, all sides and top to bottom, are totally encrusted with sparkling baby CZs. A large solitaire cubic zirconia, dramatically suspended from a glittering bridge setting, is Taylor ring`s crowning glory. A magnificent choice for the hostess with three bookings! Ring is available in sizes 6 through 10. Complements: Anything! Gorgeous will all clear CZ/crystal set jewelry in silver. Ensembles: Oh!, Dazzle, Eva, and Elegance, Center Stage. Waterford bracelet, Diamond Dream watch and La Perla watch.